With the cost of healthcare rising worldwide, medical services in some countries are more expensive than ever. Many countries that do have affordable health care often do not have the best quality medical care. If you are traveling abroad, regardless of the country you are visiting, having travel medical insurance is critical to avoid out-of-pocket medical bills and expenses. Your son is suddenly very ill, in pain, and running a very high fever and you have no idea why. Your mother slips and falls while enjoying a walking tour of a new city. She breaks her hip and ankle. You are attacked by a thief and suffer a concussion in a strange city. Emergency medical situations happen to travelers abroad more often than you may think, always when they least expect it. It is important to be prepared. Not all medical emergencies are dramatic affairs - they are often simple illnesses that get out of hand (like food poisoning). Still, a simple doctor’s visit can cost you hundreds of dollars in some countries. The cost of prescription medications or emergency transportation by ambulance will add even more to your medical bill. If you have to receive x-rays, shots for pain, or stay over night, all those costs will be added to your bill. Some visitors health insurance plans do not cover medical emergencies that arise from pre-existing medical conditions. Every visitors insurance plan will coverage have limits when the traveler is participating in high risk sports and activities such as skydiving, mountain climbing, diving, etc. Insurance plans typically do not cover the costs related to emergencies caused by mental illness. There are limits to the coverage if the traveler is pregnant - only those situations caused by complications in the earlier stages of the pregnancy will be covered, not giving birth or the pregnancy itself. 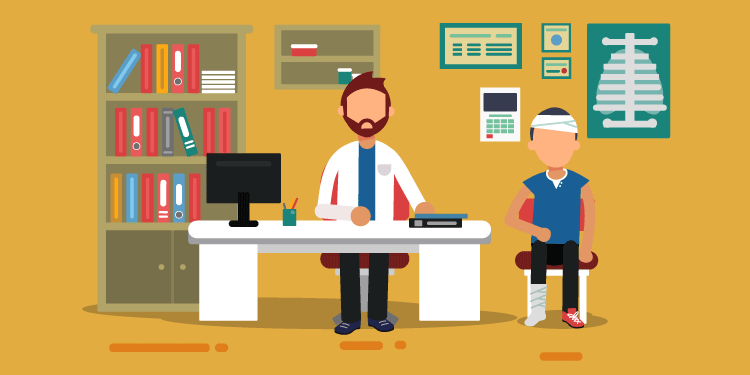 Covered travelers who experience a medical emergency while traveling abroad should retain all their bills, receipts, diagnosis, and doctor and hospital information in order to make the claims process easier. 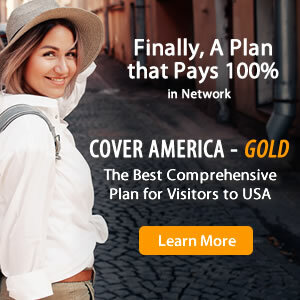 All travel medical insurance providers have a toll-free hotline you can call and get help finding nearby medical facilities and qualified doctors. Some travel medical insurance providers pay the medical facility directly, so you won’t have to pay for your medical treatment up front, though you will still need to file a claim with the insurance company. Travel medical insurance providers have multi-lingual interpreters who can help you communicate with your doctor in a foreign country. The insurance representatives will even keep your family, friends, and business partners updated as to your condition and prognosis while you are in hospital. For more details, learn about the benefits of having visitors insurance while traveling abroad. If you're ready to start looking for a policy, you can find out how to choose a visitors insurance plan for your next trip. Ready to purchase? Compare and Purchase with VisitorsCoverage.